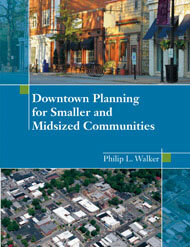 In addition to his work as a practitioner, Philip Walker’s nationally recognized expertise in downtown revitalization, economic development and historic preservation is furthered through his publications. Click onto the book covers below to learn more, including links to order them. "Downtown Planning for Smaller and Midsize Communities is an excellent resource for anyone working in downtown revitalization. 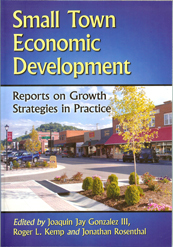 The book covers all of the aspects that help create a healthy downtown and a successful revitalization strategy. Readers will get a big picture view of all the components that make a downtown function and the importance of having a plan. 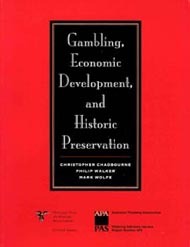 Reading Walker's book reminded me what initially interested me about the field of downtown revitalization and urban planning."